May, 2014 - News YOU can Use! 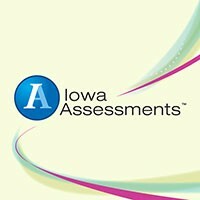 The Iowa Assessment Data is in and is being put into easy to read tables and graphs. 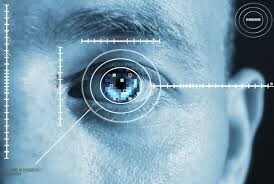 You more than likely have already distributed information to parents how their child has performed. If you want to see individual students, there is a link to the HEART Database below. The graphs will be shared district-wide once they have been double-checked for accuracy. If you look on HEART, you will notice when comparing to last year, we made some substantial improvements when comparing Apples/Apples (same students) in terms of one year's growth. You will also notice declines comparing Apples/Oranges which are major areas of concern (different students). 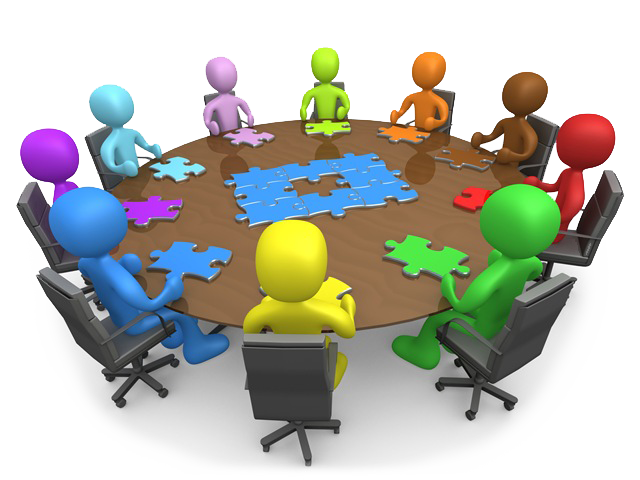 How can the work in your PLC be driven, in part, by the data you will see this spring? How did individual students perform from one year to the next? What are the causes of the improvements or declines? And the most critical question: "What will we do as a result? " 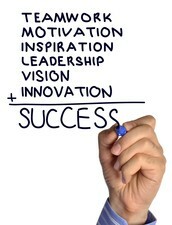 PLC's should use this data to determine how the year went for their classrooms and their grade. They should also look at the grade beneath theirs to identify the strengths of the group and the areas of concern. 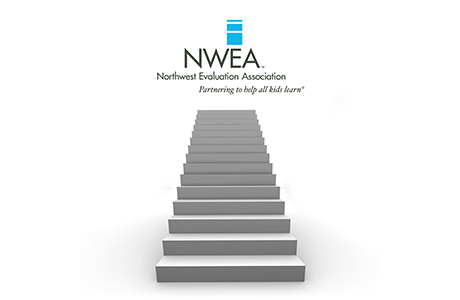 We will not know how we compared to the AEA or State until our data is uploaded into EdInsight - the state data warehouse. As soon as testing is complete I will provide growth data based on RIT Norms - look for that sometime in May. Individual Learning Plans will be a part of our professional learning next year. You will be asked to submit your personal goals to Mrs. Barnhart in the fall. She will support your individualized work during the school year any way you need. 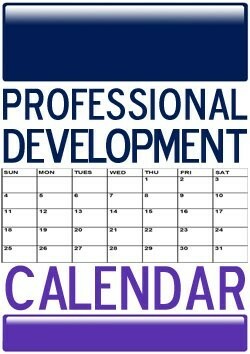 Professional Development scheduled next year is specific to 2 topics per building: Infinite Campus, Google or Deeper Learning with Technology. 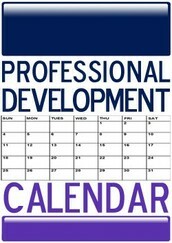 There will be 3 days set aside for this professional development; the individual plans will be part of your own learning and professional growth. 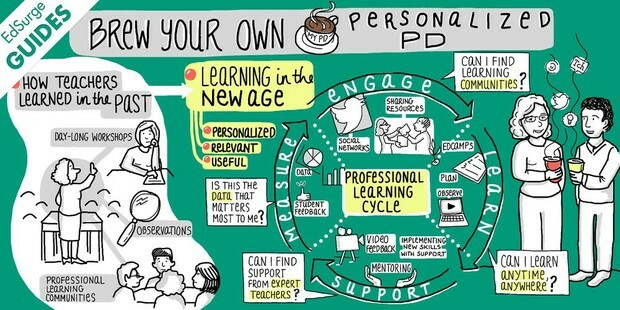 The graphic below - shared by Shari - illustrates how professional development has changed since the days of "sit and get". We know a one-size fits all approach is not effective. PLC's and professional learning allow us to individualize our experiences to meet our individual needs. 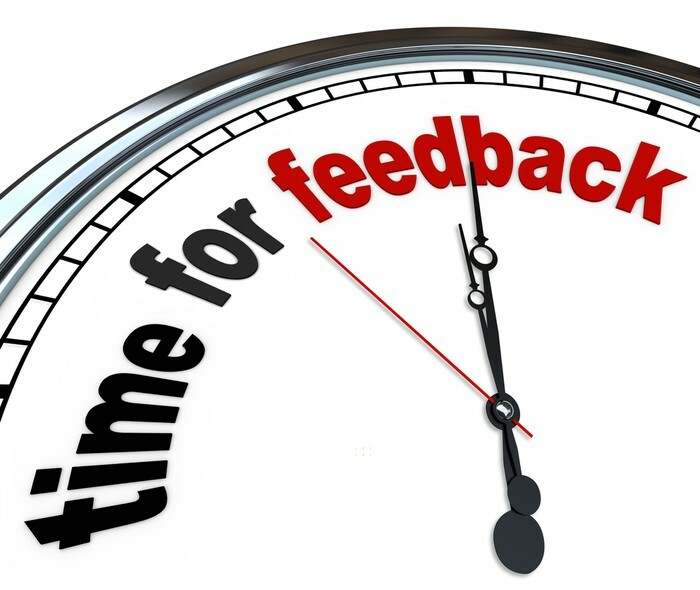 Elementary and Middle School Teachers will be asked to complete a very short (2-4 Questions) survey about the use of your Instructional Coach this year. Your answers will help us to know how to best serve and meet your needs next year. Look for the survey the 1st week of May. As part of the 3rd Grade Literacy and Retention, schools will be required to have a summer school in place by 2017. We would like to be proactive, so I reached out to Wm. 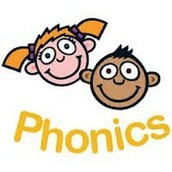 Penn to partner with them on their summer school reading program. Next year the program will be slightly different - we will be planning for that next school year. We will offer current students/parents in K-2 the opportunity to participate "free of charge" in the summer school. Identified because of academic need, an invitation will go out this spring. ADDITIONAL TEACHERS MAY BE NEEDED!!! If you are interested in partnering with Wm. Penn and possible lead activities this summer, please let Dr. Cooksley know. We do not know at this time how many teachers might be needed - it depends on enrollment. Summer school runs from July 14-25 from 8:30-11:50 each day. High School Piloting Standards-Based Grading! A small group of teachers at the High School will not provide a letter grade/percentage to students as feedback on how well they performed next year! Rather, they will use a 0, 2, 2.5, 3, 3.5, 4 scale as feedback to students on their performance/evidence of learning. Letter grades will still be reported out on report cards, but they will not be discussed or used in the classroom. Because this is a big change, an action plan is being created. Communication with parents will be the critical piece of this implementation. 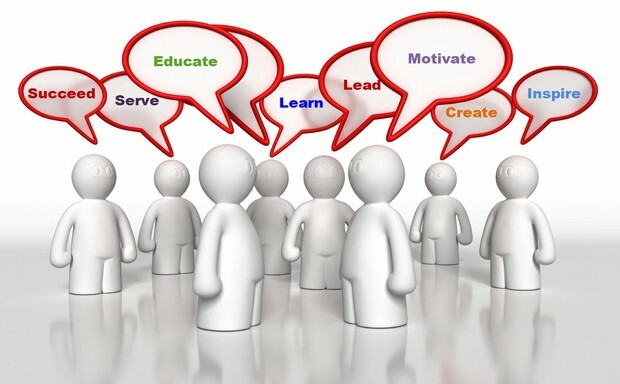 Student communication initially and on-going will play a critical role as well. Teachers are enthusiastic about this improvement - we will keep you up-to-date on progress toward implementation. Part of the plan at the Elementary was to implement SBG incrementally. Starting K-2, 3rd grade no longer gave letter grades as of this year. 4th grade will follow suit next school year and 5th grade in 2015-2016. 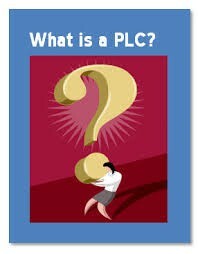 PLC to Watch for May is ALL PLC's!!!!! As we wrap up the school year I want to thank all PLC Facilitators and PLC members for their work this year. This work is not easy - it is challenging for sure - but all of you have dug in to help students achieve the high levels they are capable of reaching. 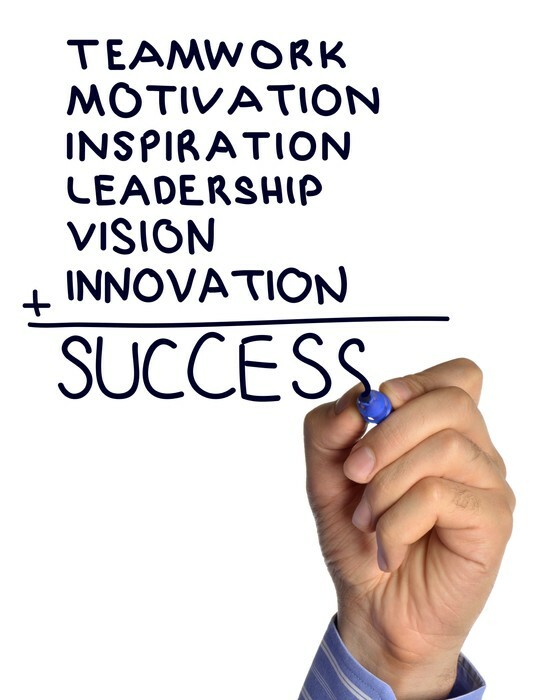 We are not always successful, and we have a ways to go to be where we want to be .... but THANK YOU for all you do!!!! 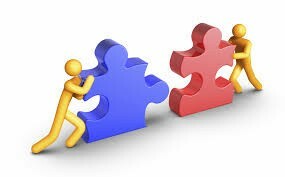 Remember - everyone in the district is a critical piece of the puzzle - working together we can "Believe, Achieve, and Create with PRIDE"!!! In May is when we have many PLC tasks to complete. No PLC on May 21st - but it can be used for Building Choice! Something to Make you Chuckle! DLT members participated in an activity around Bloom's and Questioning. Many said they would utilize this in their PLC. As them about it! Reviewed Characteristics of Effective Instruction! Discussed how the DLT can bring and keep our new Vision and Mission alive! "Believe, Achieve, and Create with Pride" and "Engaging ALL Students to Embrace the Power of Learning"
Collective Commitments - the group broke into groups based their roles - Student, Staff, Parents and Admin/School Board. Each group came up with some sample ideas of what they would commit to doing to increase student learning, etc. The idea is to have the DAC members help facilitate conversations next year with groups to develop these in a collaborative manner. More on this next fall! The 4th Wednesday will be more flexible in terms of what content will be delivered... Elementary will have 1-hour of PD centered around the Iowa Core while the MS and HS will use the 4th Wednesday for building choice... more PLC, Vertical or PD. 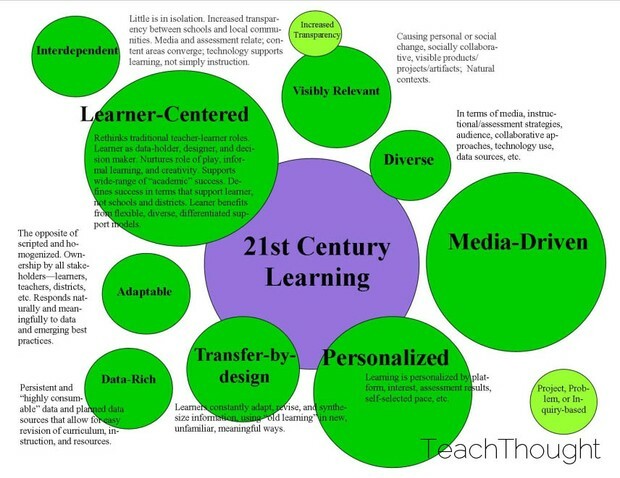 Does your classroom instruction match that of a 21st Century Learner? Are you looking for great examples of ways to motivate students - creating that community in the classroom? How do you empower students to WANT to learn? Are you looking for instructional ideas that make a difference and help students increase their learning capacity? These are great examples any classroom could emulate and make successful!!!!!! Dorina Sackman never gives up on her students, and it shows. That's why she is a 2014 National Teacher of the Year Finalist. See how this ESOL - English for speakers of other languages - teacher gives students the tools and confidence to learn. Sean McComb cares about his students, pushes them to be their best and so much more. Get a glimpse as to why Mr. McComb is a 2014 National Teacher of the Year Finalist. Includes a peek at a neat teacher learning strategy, the Learn and Walk. High School English lesson about analyzing text, and a speech in particular. 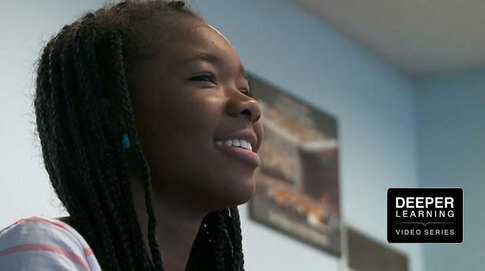 This video shows a 2 day lesson where students analyze, adapt and deliver a choral reading of a speech. Correlates with Common Core for ELA. Learn about the SAGE framework for project based learning. SAGE stands for student choice, authenticity, global significance and exhibition. 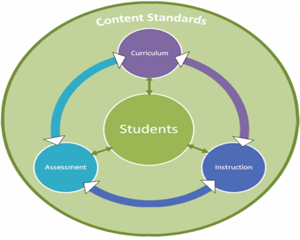 See how you can use this framework to deepen student learning. Syllabus Challenge for May - Do you Know? Answer me this: What is the new District Vision and Mission? Bonus: Which article are they in? Send Dr. Cooksley both of them and win a prize!!! Are you up to the challenge? ?